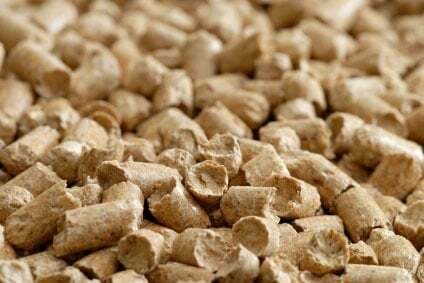 Will the Affordable Clean Energy Rule Save a Spot for Biomass? While the CPP’s goals were ambitious, the Plan’s critics were concerned about federal overreach; many believed that it exceeded the EPA’s authority, which is why 27 states, 24 trade associations, 37 rural electric co-ops, and three labor unions challenged the Plan, and the Supreme Court issued an unprecedented stay of the rule. ACE defines the “best system of emission reduction” (BSER) for existing power plants as on-site, heat-rate efficiency improvements. ACE provides states with a list of “candidate technologies” that can be used to establish standards of performance and be incorporated into their state plans. ACE updates the New Source Review (NSR) permitting program to further encourage efficiency improvements at existing power plants. While the ACE aims to transfer more control to the state level, the only drivers in place now are the individual 35 state Renewable Portfolio Standards (RPS). These systems allow lots of flexibility and, therefore, most capacity increases in electricity generation in the US market are driven by economics; natural gas (due to the current low cost and high availability) is the current default fossil energy source of choice while solar PV is the current renewable technology of choice. Biomass fuels provided roughly 5% of total primary energy use in the US in 2017. Of that 5%, about 47% was from biofuels (primarily ethanol), 44% was from wood and wood-based biomass, and 10% was from municipal waste (the sum of percentages is greater than 100% because of independent rounding) So, in 2017, about 2% of total US annual energy consumption was from wood raw materials—biomass sources that include bark, sawdust, wood chips, wood scrap and mill residues. Drilling down into electricity production specifically, roughly 4,034 billion kilowatthours (kWh) of electricity were generated at utility-scale facilities in the US in 2017. About 63% of this electricity generation was from fossil fuels (coal, natural gas, petroleum, etc. 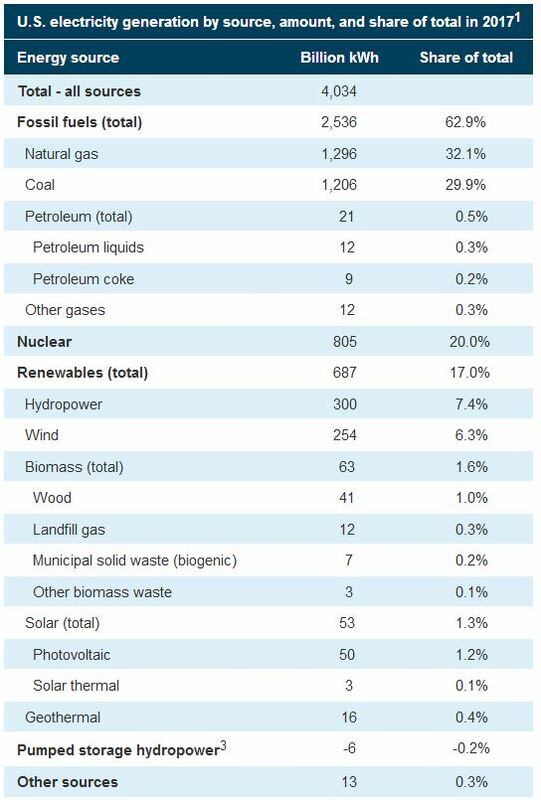 ); 20% was from nuclear energy, and about 17% was from renewable energy sources—a vast majority of which was generated by wind and hydropower. The US Energy Information Administration (EIA) estimates that an additional 24 billion kWh of electricity generation was from small-scale solar photovoltaic systems in 2017. The amounts (in trillion British thermal units) of US wood and wood waste energy consumption by consuming sector and their shares (percent) of total wood and wood waste energy consumption in 2017 are detailed below. As you can see, most of this wood waste is used at the industrial level primarily by wood products manufacturers; only 12% of the BTU consumption was for electricity generation. In 2017, there were a total of 178 operational biomass power plants utilizing some form of wood-based feedstock (65 of them used municipal waste) in the US. However, in areas of the country that have an existing biomass infrastructure and supply chain in place—like the Northeast—biomass continues to face both market and legislative hurdles. In New England, one-fifth to one-third of the total volume of timber harvested annually is used as biomass. As other markets for low-grade wood (notably pulp mills) have been reduced or disappeared altogether, the biomass market has become increasingly important for loggers and landowners. As a renewable resource that requires the constant purchase of new fuel, biomass provides ongoing economic impacts to the forest supply chain (and beyond) that other renewables like wind and solar do not. Recognizing the important role biomass plants play in the forest economy, northeastern states have been acting to support continued operations. Last year, Maine allocated nearly $14 million to support continued operations at four biomass plants, attempting to close the gap between operating costs and fuel costs. This year, it was New Hampshire’s turn. The state has six “legacy” biomass plants—all under 20 megawatts in capacity—that were built decades ago. Just last month, the New Hampshire Legislature overrode a veto by Gov. Chris Sununu that will require utilities to purchase a portion of their electricity from the state’s wood-burning power plants. However, these plants are likely on borrowed time. What does the ACE Rule Mean for Biomass? Beveridge & Diamond continues, “At the same time, the proposed ACE Rule notably references EPA’s April 23, 2018 announcement stating that EPA will ‘treat biogenic CO2 emissions resulting from the combustion of biomass from managed forests at stationary sources for energy production as carbon neutral.’ Based on this statement and the inclusion of co-firing in the CPP, many groups are likely to argue during comments and litigation that co-firing is an ‘inside the fence line’ measure that is adequately demonstrated and more widely deployed than several of the HRI ‘candidate technologies’ EPA’s proposal would recognize as BSER.